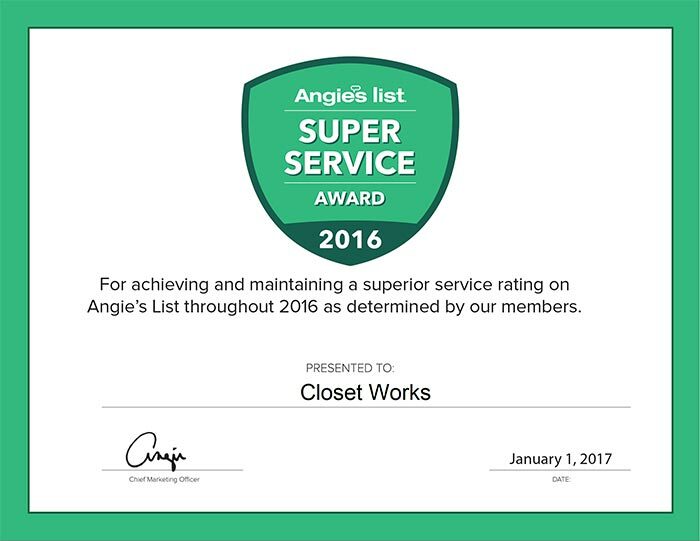 Closet Works— has earned the home service industry's coveted Angie's List Super Service Award, reflecting an exemplary year of customer service to members of the local services marketplace and consumer review site in 2016. 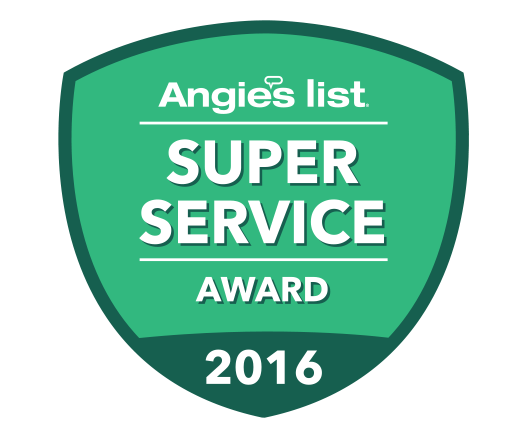 "Companies that can meet higher demands without missing a beat in their exemplary performance standards truly do stand apart from their peers," said Angie's List Founder Angie Hicks. "Only a fraction of the closet and organization companies in the Chicago area were able to do it." "Closet Works has been creating a better quality of life through better organization throughout Chicagoland for three decades. Our clients are our highest priority and we stand committed to ensuring the best possible customer experience possible."